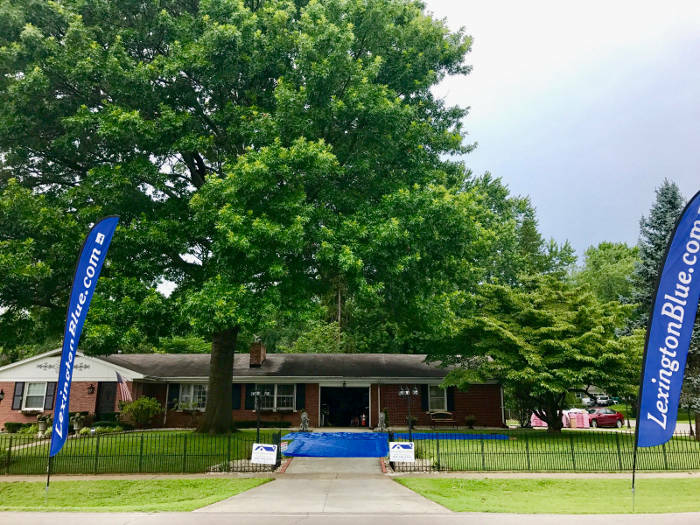 Here’s one of our more recent roofing projects we performed in Georgetown, KY.
As always, we implemented high standards in our workmanship as well as presented ourselves on the property in a respectful and professional manner. 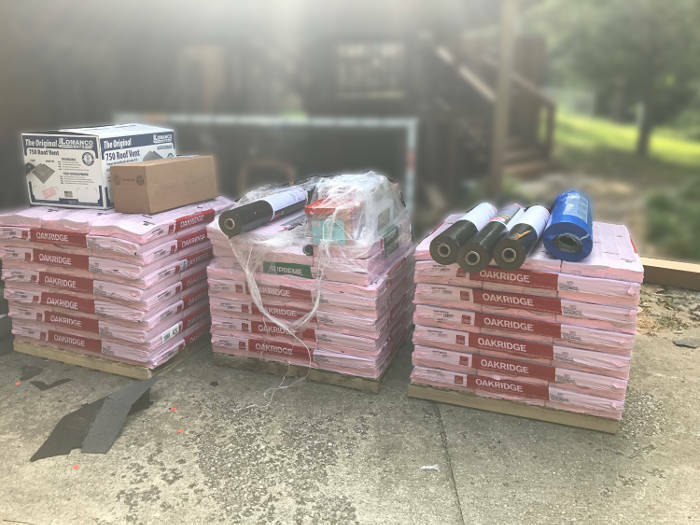 Upon delivery of the roofing materials, we began the project by setting up for the removal of the old shingles. 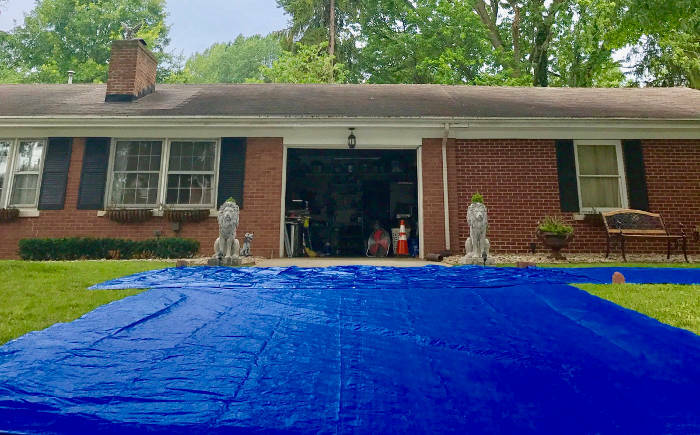 We placed tarps around the home to capture the discarded materials. This ensured a preventative measure so the discarded debris wasn’t lodged in the grass. 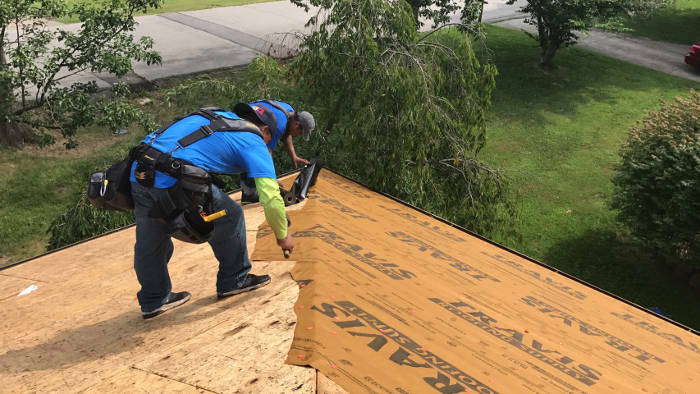 Our first process was to remove all the old existing shingles and roofing materials. As you can see the tarps we laid down in place acted as way to capture the discarded materials. 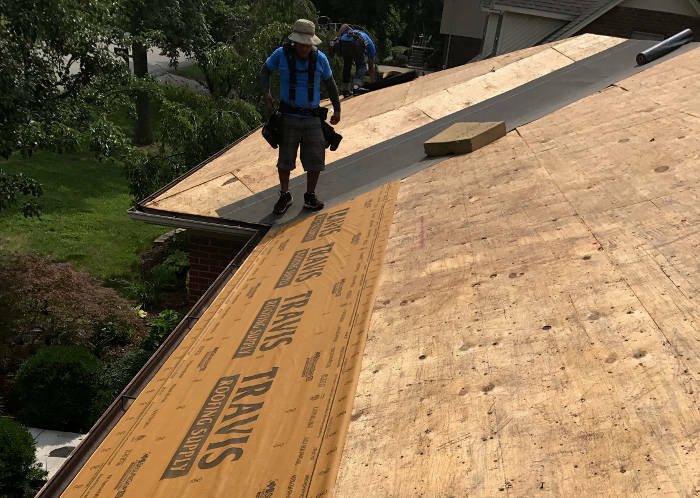 Once we had a clean slate to work from we inspected all the remaining components and began by installing the initial roofing products. This is us installing synthetic underlayment. 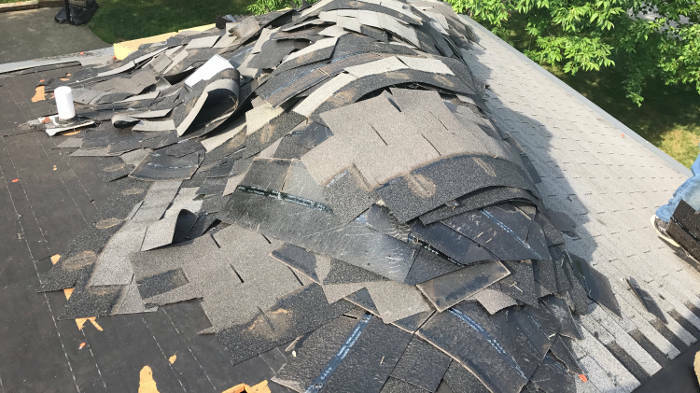 This material acts as an additional layer of protection which is installed prior to adding the shingles. It’s designed to help aid in preventing leaks. We also installed ice and water shield. Learn more about this product and why your home’s roof should have it. 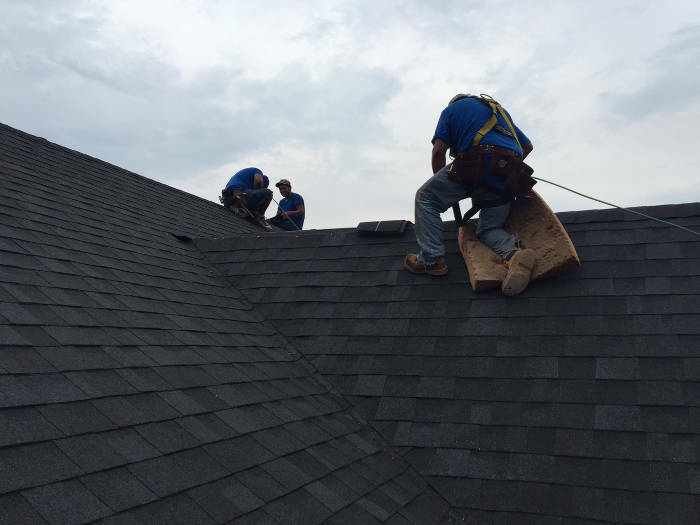 After installing all the preliminary materials, we set up to begin the shingle installation. We installed Owens corning shingles. They offer the best materials on the market and we have the status to back that statement up. After a dedicated day to hard work and perfection, we completed this project on time as promised. 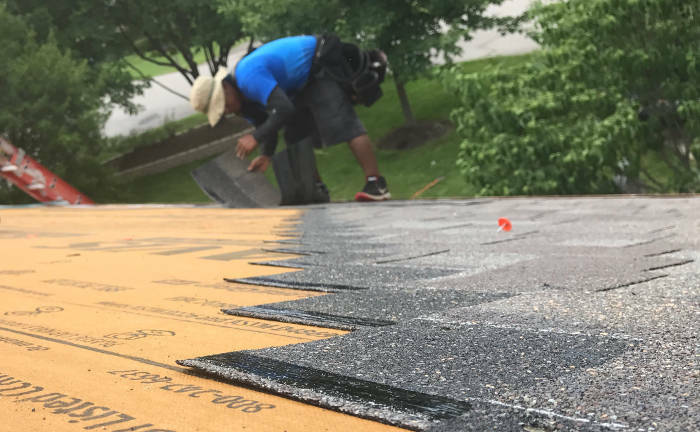 When you want to have a professional contractor install your roof in Georgetown, consider Lexington Blue as your preferred choice. Our commitment is to deliver a quality service backed by our own personal guarantee and warranties. For professional service Call or Request Estimate.